Or at least plug-in Hybrid. I witnessed the car myself and it is 100% quiet when driving. No engine noise. 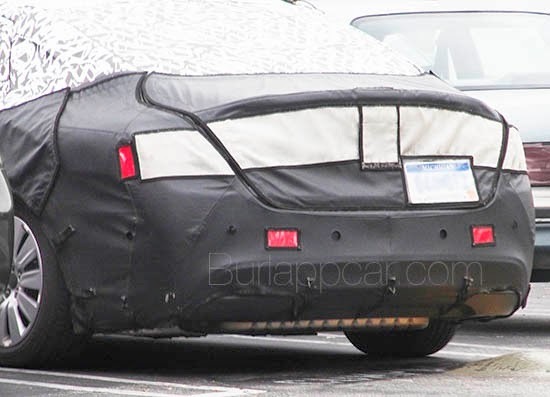 So it does look like Chrysler is working on an electric version of the new 200. Or at least, using the 200 to test a new electric powertrain. too bad you can still see the gas tank under the camo. They don't put gas tanks right behind the rear bumper anymore. Too many lawsuits. I wonder if it's a one-off, legally obligated, "just for California" EV like the Fiat 500e, or if it's a real car that anyone can buy. It must be the ELectric. It has to be. Gas tank underneath and all. Chrysler was the worlds largest producer of electric cars for many years (most of them sized between a golf cart and a Smart car). They sold that division 2 years ago. Maybe they kept all the R&D "secrets" for future EV models?? ?